Maybe I am not the only one getting a little confused by the naming conventions for SCOM now. I have been maintaining current branch for SCOM 2016 1807 at Ignite they announced SCOM 2018 and 1901 so what is the difference between them? Do I have to go to 2019 to use 1901 or it just then next build in current branch? If I just install 1901 assuming that is possible do I lose anything over installing 2019? 2019 is LTSC with all updates from 1801, 1807 and 1901 and 1901 will be current-branch going with semi-annual release. So wanting to keep current and have latest updated I probably should not install 2019 and just install 1901 update. So if I am understanding correctly 2019 is a LTSB with out updates and 1901 will be the current branch. 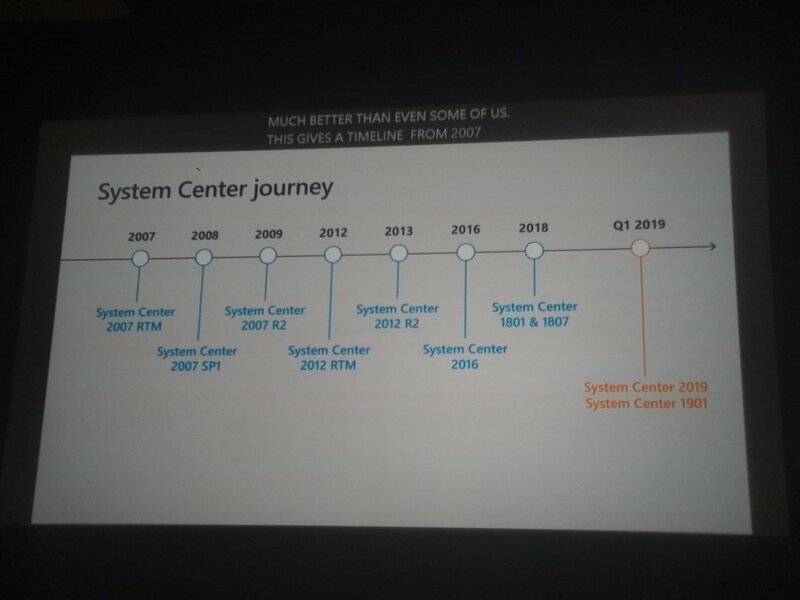 Squared Up’s page on ‘What’s new in SCOM 2019?’ does a good job of answering this. to install and could cause a possible downtime of the ‘console’. Now we know for shure every 10 months, i must update and have only 1 possible downtime. also made us change, next to the advicory of an MS PFE.